I know we are in the middle of fall, but bringing a little summer back today with this lovely summer wedding. 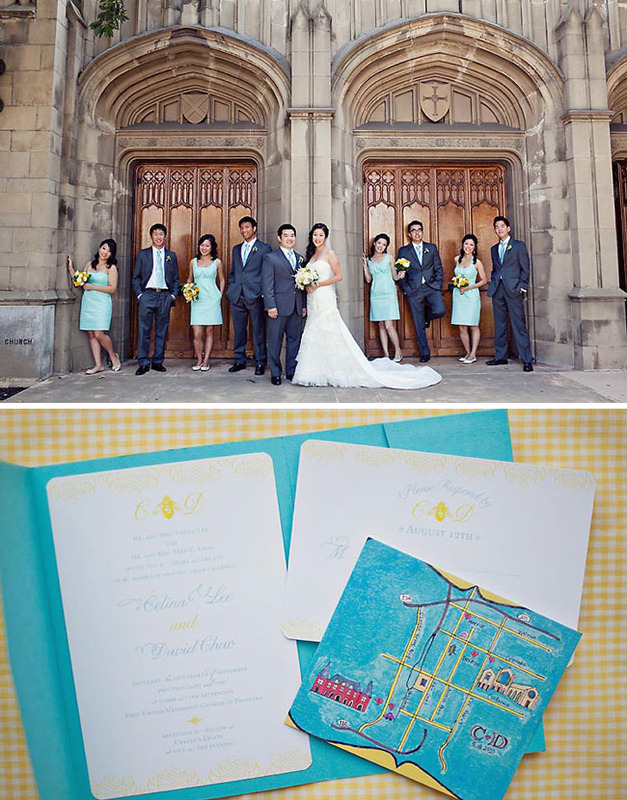 :) I love the pretty blues and pops of yellow Celina + David used for their color palette. And they incorporated some really cute details that were so perfectly them! 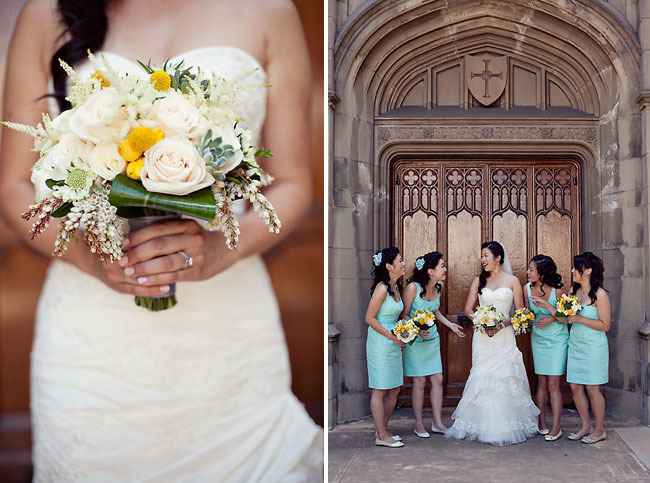 Celina + David were married in Pasadena at a gorgeous church, then had their reception at Cravens Estate. Thanks to Celina for sharing some details into their day! When we first saw the Cravens Estate’s wrought-iron gate and red brick façade, it brought us back to our college days in New England, where we met. The Cravens Estate offered everything we wanted: a shady garden for cocktails, a dance floor on the back patio, and a huge back lawn that made our dream of a backyard wedding possible. The floral pieces integrated lush garden flowers, succulents, and billy balls, and were placed inside ceramic containers and milk pots. 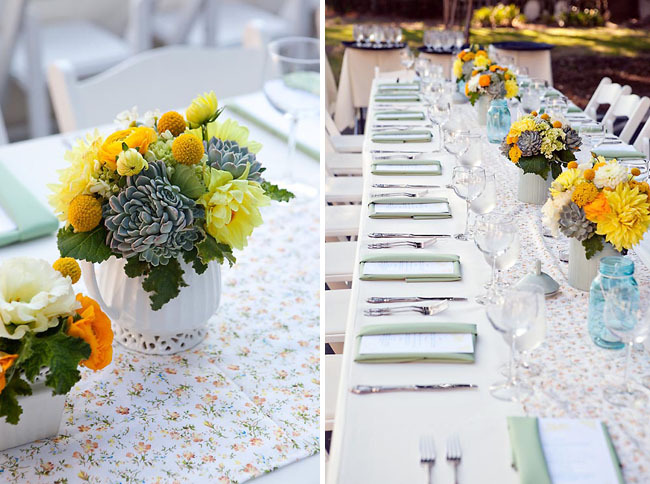 Each of the crisp white linens on the reception tables were lined with custom made runners and squares with fabric purchased from the fabric district in Downtown LA, in either bright country checkers and country flower prints. 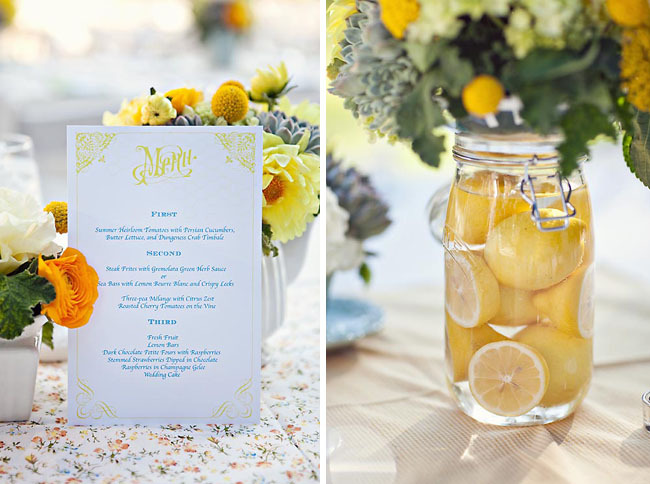 We incorporated lots and lots of lemons throughout the entire theme to bring everything together, in the centerpieces, on the place cards, and even the adorable cake topper, a DIY Mr & Mrs. Lemon! 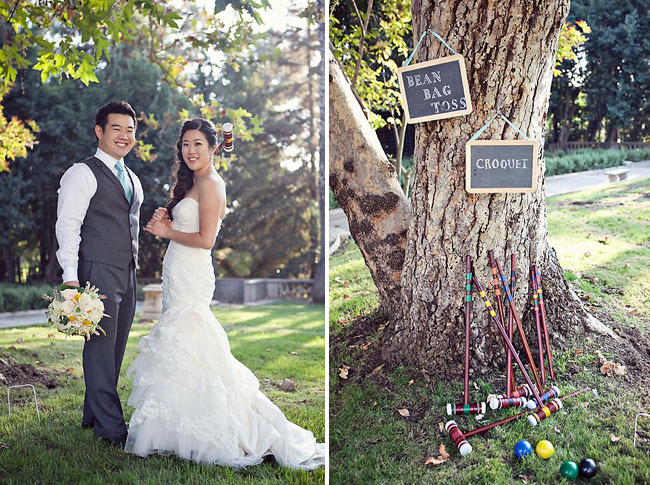 Of course, no summer wedding would be complete without some lawn games, so we set up croquet and bean bag toss for everyone to enjoy. We had long talked about how awesome it would be to have an old library catalog as furniture. (Who doesn’t miss the Dewey Decimal System?) We were lucky enough to find one just before the wedding, so we figured, why not incorporate it into the décor? The catalog fit in perfectly in the Cravens Estate’s library. We filled the drawers with candy as a modified candy bar, and invited guests to write their well-wishes on “library cards” and place them in the drawers. Keeping with the literary theme, our wedding coordinator, Esther, made our signage out of scrabble pieces (I love playing Scrabble! ). Most memorable moment of your wedding day? After putting in tons of hours, the greatest reward was not only enjoying the day together, but spending it surrounded by our loved ones, perfect weather, delicious food, and great music. The end of the night captured how we felt all day; with our parents by our side and our guests forming a tight circle around us, we sang our hearts out, arm in arm. 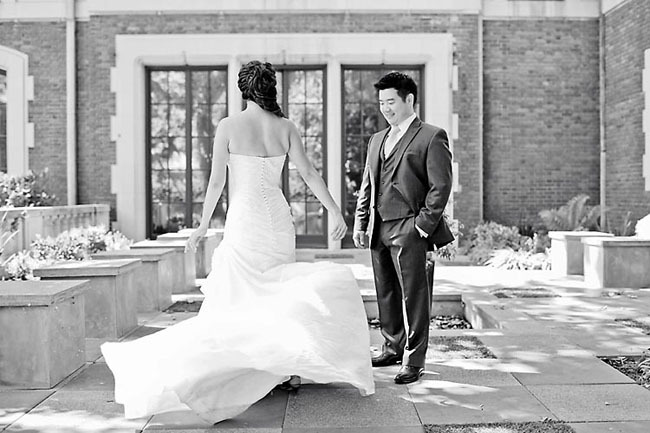 Celina & David were in the east coast during the entire planning process, until one month prior to the wedding. We exchanged numerous emails back and forth and had so much fun sharing ideas together & finalizing the details. The day we met at the Cravens Estate, I knew this wedding was going to be absolutely adorable. I had Hannah Koo come on board as a floral designer to bring Celina’s vision to life, and also hired Events Plus for all the lighting decor, which complemented the lively outdoor ambiance of the venue perfectly. Celina also created a lot of the elements herself. She hand made all the table numbers, place cards, and adorable cake toppers, and even purchased all the ceramic vases & containers from Home Goods, all up until the last week of the wedding! Talk about true dedication! However, the highlight of the entire reception area was without a doubt the candy station we created with the gorgeous library catalog that David purchased from Yale University’s surplus warehouse. Since they studied countless hours at the library together, we thought it would be a fun way to bring back memories while guests can write their well-wishes on ‘library cards’. 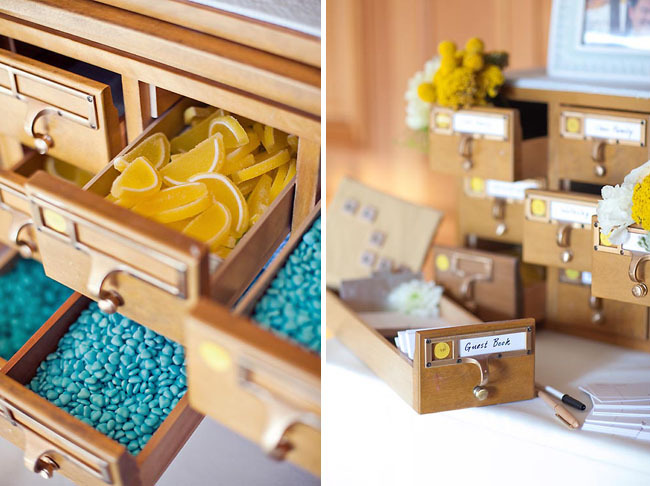 The drawers were filled with different kinds of candies in robin’s egg blue and yellow, along with some flowers, while the top of the library catalog was lined with pictures of not only the couple, but their parents as well. It was truly beautiful in every way and really reflected the couple’s love of each other and their families! There are so many things I love about this wedding; the colours, the succulents, the invites, the sweetheart table,the games etc! I especially love the photo with the books and the creative candy buffet! I love the colors of this wedding and also some of the details, like the scrabble, croquet, lemons in mason jars and flowers in teacups! 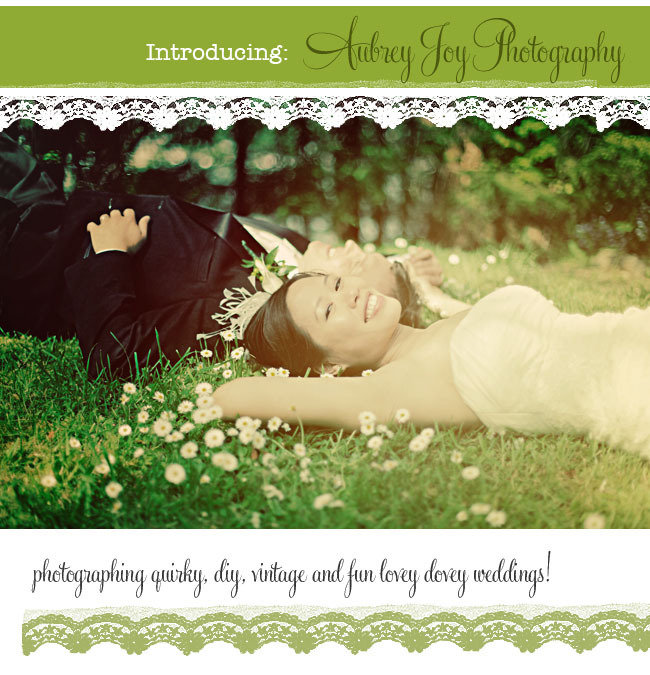 I love library themes… gorgeous wedding! 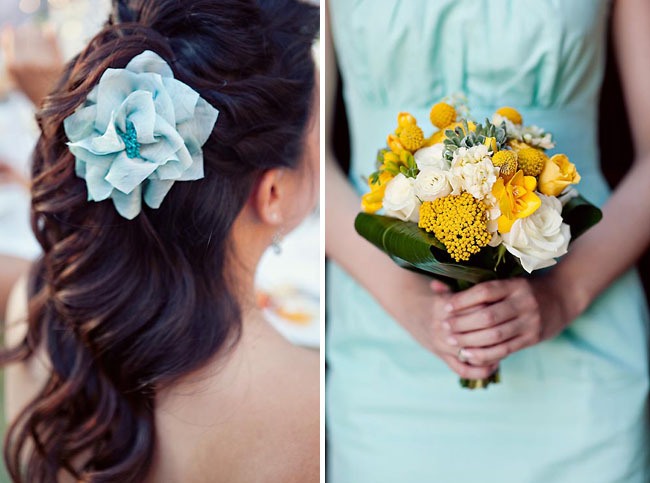 that blue (from the bridesmaid dresses) is divine. Beautifully shot! Great job Heather! You are a beautiful bride! Very inspired by your wedding! 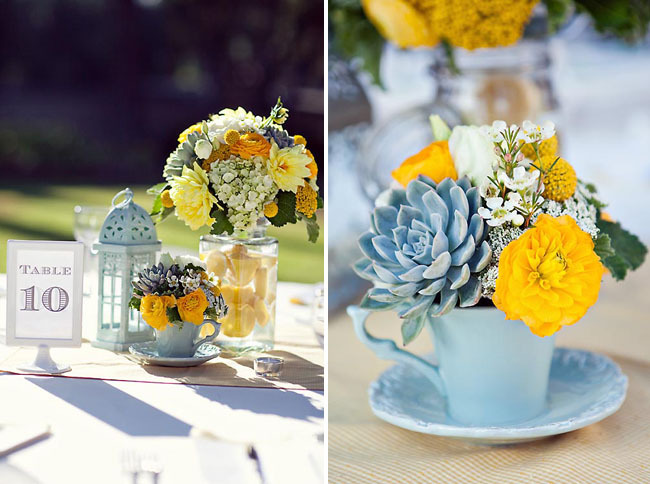 Love love love yellow and blue! love the library catalog idea!! and heather’s captured it so gorgeously! 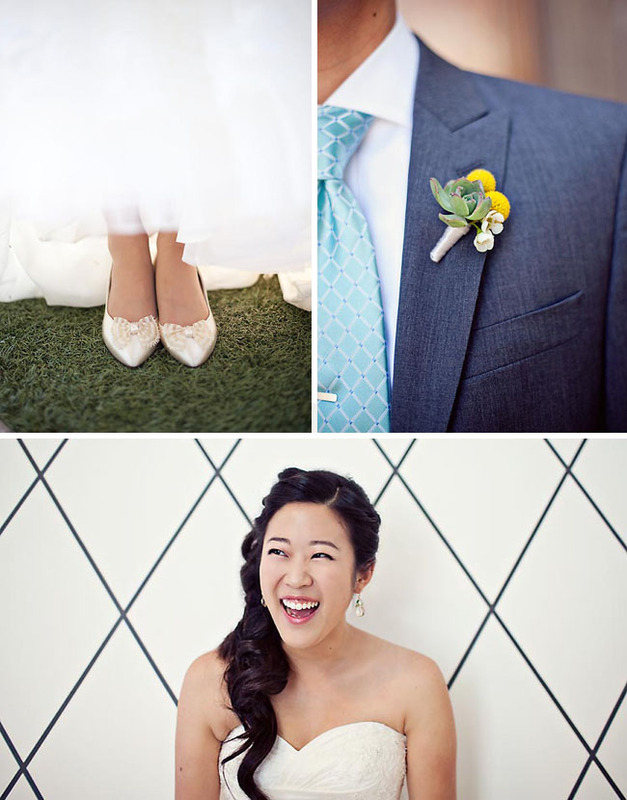 Thanks Jen for featuring this adorable wedding! Celina & David are such a sweet couple and we’re so thankful we were part of this wedding! 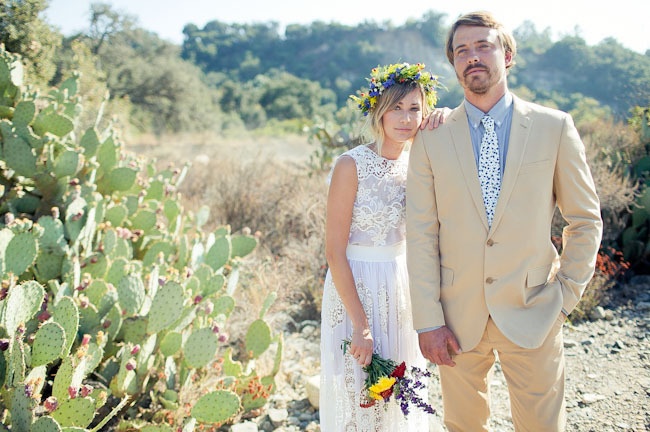 Celina thoughtfully executed all the DIY elements and everything turned out so stinkin cute! 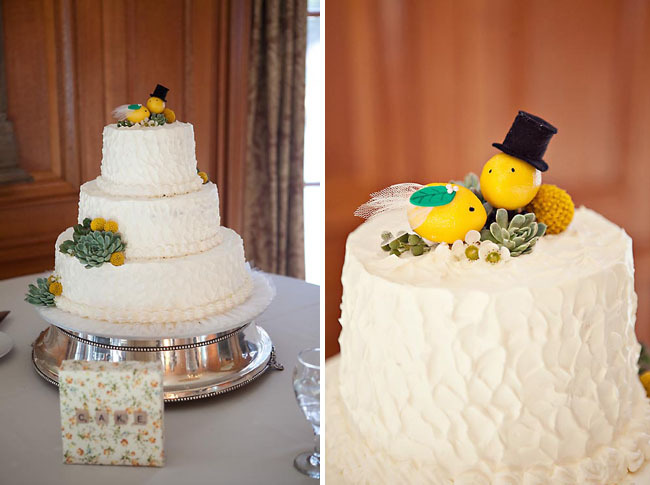 The lemon caketopper is super duper cute! SO many beautiful details…but I am especially loving their stationary!! I love the mix of yellow and blue with a hint of red thrown in. Pretty! Respectfully, the Dewey Decimal Classification hasn’t gone anywhere, so there’s no reason to miss it. It’s just card catalogues that are being/have been phased out. Hi Devon- Nope that is actually correct – I know a bit odd! The Red Cross has their headquarters there it looks like…. Oh wow! Ok cool. Thanks for clearing that up. It looks like a great location I was interested in. Such a beautiful wedding. Totally awesome colors for the theme. Heather did a wonderful job as a photog to capture all these beautiful details. 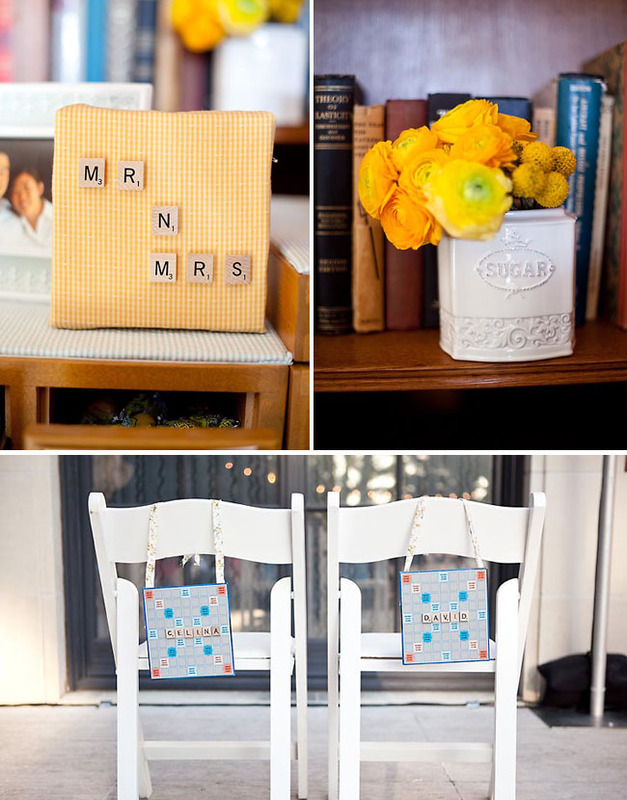 what a sweet wedding with so many cute details! looks like they also had the traditional pae baek ceremony. Is there anywhere I can get more info about the ceremony? Does anyone know where that cute sugar jar came from or who made it? I love it as a vase. So unique! Gorgeous wedding! 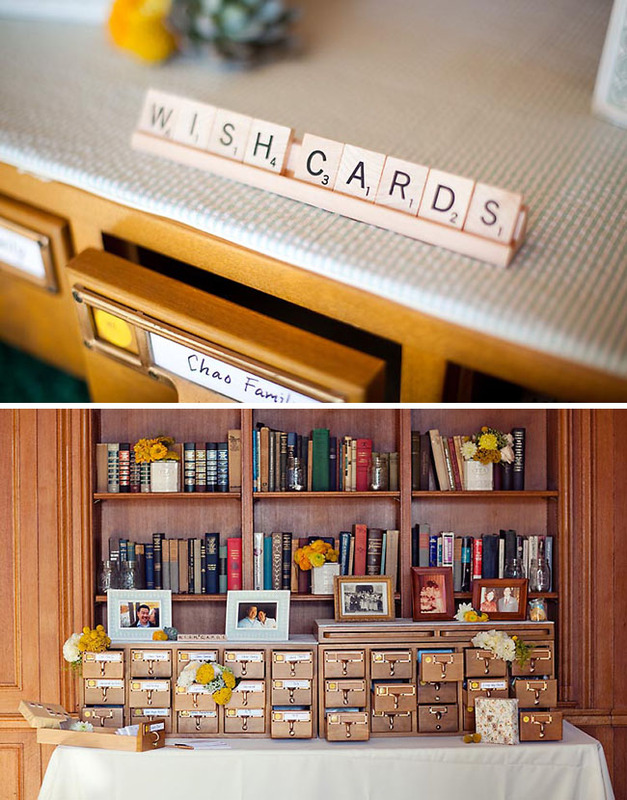 Loved all the little details – especially the card catalog! @ Jennifer, the sugar jars were actually purchased from Marshalls for $3.99! 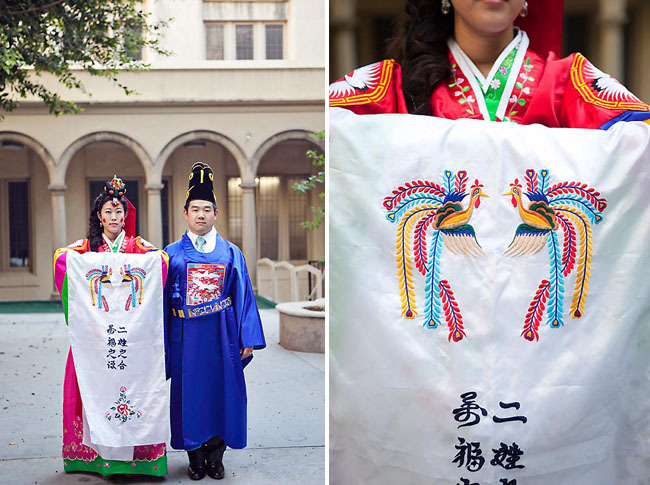 @ Nancy, you can visit http://mybridestory.com/paebaek/ to read more about pae bek ceremonies. 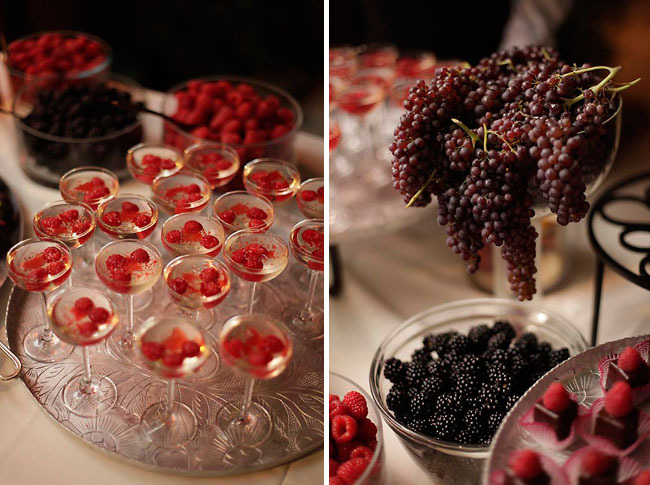 love all of these wedding details! fabulous! 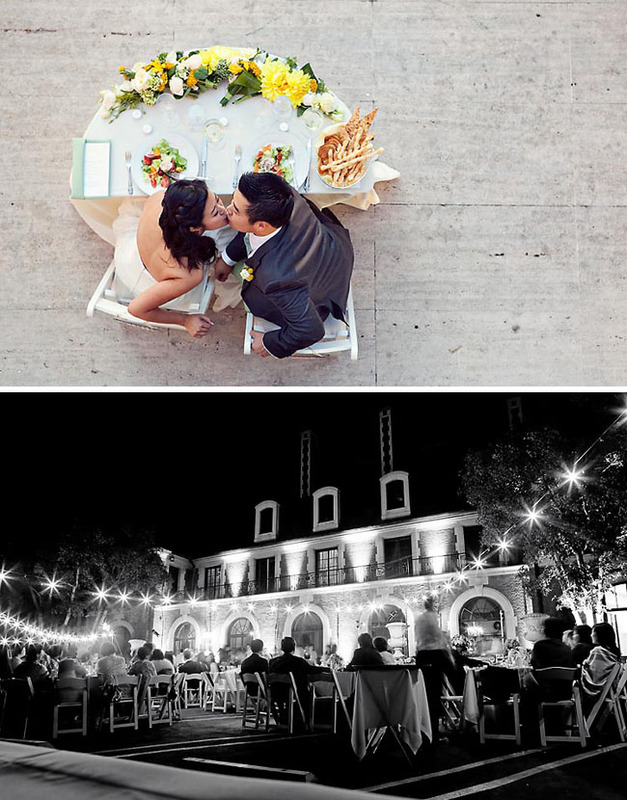 Pingback: The French Bouquet - Wedding & Event Floral Designs – Tulsa, OK » Green Wedding Wednesday is Here! Does anyone know where the lantern candle holders are from? I’ve been searching for some and these are the prettiest ones I’ve seen so far! Such a gorgeous wedding! 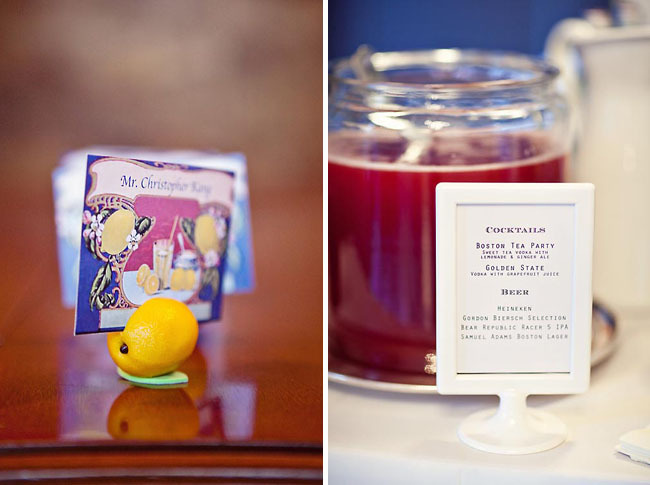 I featured the adorable library card/candy/guest book in a guest book post! Thanks for the inspiration and ideas!